All Right Now! Engaging groups of children at storytime and in assembly, with help from Free, Queen and The Wiggles! In my early teens I spent a lot of time poring over photos like these and fantasizing. The main part of the fantasy was that I was an outstanding singer and guitarist who was onstage mesmerizing thousands of festival- goers. Each member of the crowd would be utterly enraptured by my stage presence. After the show I would be mobbed by fans, who would all buy my records as soon as they got home. I imagine that at the moment this photo was taken, Free, whose album Fire and Water was high in the UK charts, must have decided to introduce a new song: and a slow one at that. As a seasoned festival-goer myself, I can tell you that Paul Rodgers and co had made a bad move. To an audience who are sitting uncomfortably and who only know your major hits, that is an instant turn-off, and you are going to have to work very hard to get them back on your side. If you want to get the crowd going, you really need to rock, and play all your well-known tunes. It’s the only way to grab everyone’s attention and keep it. (They sensibly kept their hit single ‘All Right Now’ until the end of the set and, as you can see from the You Tube clip, it was a stonker and led to calls for an encore). Queen knew the golden rules- find out about your audience, rehearse intensively, start with a familiar belter and keep going with plenty of audience participation. They set these principles to work at Live Aid in 1985, and as a result their fabulous set was voted the greatest rock act of the 20th century. 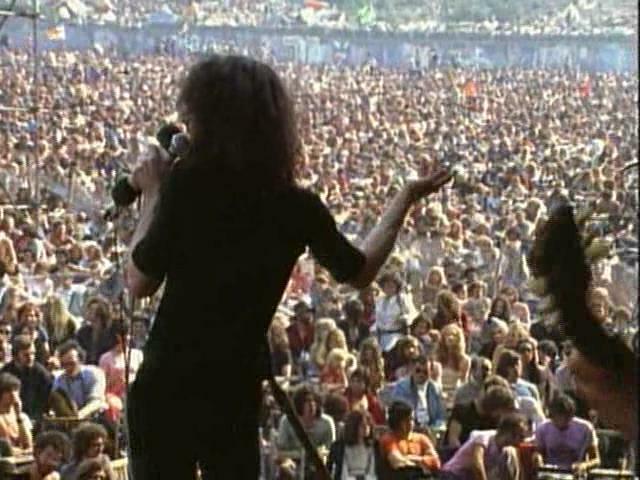 Unlike some of the other artists at Live Aid; who were at best rough around the edges (Jagger and Bowie; Dylan, Ronnie Wood and Keith Richards) and at worst disastrous failures (Led Zeppelin, with a totally unrehearsed Phil Collins on drums), Queen had prepared for days at London’s Shaw Theatre, and so were totally in control for the entirety of their 20-minute set. They were slick, but were able to be spontaneous and have great fun, and were totally in tune with their audience. 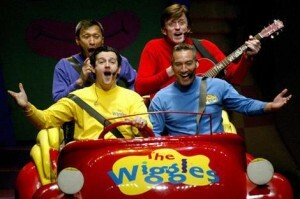 Now from the sublime Queen to the apparently ridiculous: Australia’s pop group for the under-fives, The Wiggles. Initially I was very stuffy about Anthony, Murray, Jeff and Greg, with their trusty backing group: featuring Captain Feathersword, The Wiggly Dancers, Dorothy the Dinosaur, Henry the Octopus, and Wags the Dog. I assumed they were a load of out- of- work actors trying to make an easy buck by singing dodgy songs to toddlers. Nothing could be further from the truth. The original band members were all early years student teachers at Macquarie University. They left the course when a song and dance project they were developing became so popular that they found they could make a living out of performing it. The band really understand their audience (very young children and their parents) and all of their work stems from deeply-held beliefs about early childhood development. They are currently Australia’s most successful music entertainment export, and easily filled Madison Square Gardens in New York. True, their early videos now seem a bit amateurish, but recently I’ve been watching their classic DVD, You Make Me Feel Like Dancing, in the company of three young children. I have to admit that these guys are the Queen for the under 5s. They have written catchy songs for young children and combine them with props and dance routines that are fun and engaging and immediately get stuck in your head. Their live shows start with the big favourites, Rockabye Your Bear and Big Red Car and then take the audience (average age three years old) through a string of hits from their CDs and DVDs. The children who watched the DVDs with me were totally transfixed, and were soon singing new songs and copying the dance routines. I agree that The Wiggles may not be high culture, but they and acts like them have an important role to play in young children’s lives. They encourage singing and dancing, and at the same time promote language development, maths and knowledge and understanding of the world. Many parents I meet seem to be reluctant to sing with their children, and if the children have limited experience and there is reduced interaction within the family, the youngsters often have reduced language development. It can be quite stressful for these children and their parents to take part in group sessions such as ‘stay and play’ or story and song times. This is partly due to the children’s lack of social development, but also anxiety caused by being faced with unfamiliar songs and activities with new vocabulary involved. More linguistically- able children tend to be more confident when faced with new activities in groups. Because they behave and respond well, their parents can relax and feel more comfortable about joining in themselves. So when I lead a session for parents and children, I always start with a few songs that children and adults know really well, and will spontaneously join in with. These are usually hits from the latest Wiggles DVD, or the ‘hello’ song from CBeebies’ Something Special. This gets the parents going, as well as their children. I’m also well-rehearsed and have plenty of activities for the children and adults to take part in. I’m not saying I’m the greatest entertainer in the world, but we do have great fun, and parents who usually sit at the back talking with each other suddenly find themselves getting involved, when they see their children responding to familiar songs from home. Your comments about the audience not listening struck a chord with me. We have recently returned from the Reading Festival, where during a particularly loud performance in one of the marquees (The Bronx) my husband felt it necessary to ask a couple right in front of him to stop talking. They were not best pleased and told him to move if he didn’t like it; he then pointed out that they had already pushed themselves in front of me (5ft 3in)to hold their conversation and that if they were not interested in the music they should go outside to talk. Surprisingly they moved. I may not be as loud as The Bronx but I have realised over the years that no matter how interesting you make a group session there will always be one or two children who prefer to chat to their neighbour. One year I had a little American boy in my class who talked continuously and nothing I said or did would make him stop. I would ask him politely to stop talking and he would reply, “yes ma’am”, then turn to his neighbour and resume his conversation. I gave up in the end. So as you say the answer is to be well rehearsed, keep it short and sweet, use plenty of visual stimulation and hope for the best. With regards to singing I know many adults feel self-conscious about their vocal skills. In a previous role I used to run music workshops for parent and toddler groups and the first thing I used to say to the adults is that young children are not bothered if you can’t sing, they just enjoy you joining in. I used a variety of songs, instruments and recorded music that were well known and easy to join in. At the end of the session I used to calm things down by rolling out my magic carpet, liberally sprinkled with lavender oil, and getting the little ones to lay quietly and listen to Greensleeves. There used to be a lot of yawning and thumb sucking; this pleased the parents as they had sleepy children to take home for their afternoon nap. Wow Carol… Reading! I’d never have the nerve to ask anyone to shush at a festival. I did ask a head teacher to be quiet once, and he was furious!! Magic carpet and lavender oil… A brilliant idea!!! I think my year 4 class would have loved that. They used to ask me if they could put out my Turkish rug and cushions and cuddly toys so they could sit and do quiet reading. I like to mess about, but this is an important subject. Children we are teaching, and especially in groups, are an ‘audience’ and deserve to have the best-prepared and relevant lessons/assemblies. Need to get back in contact as our new unit is open and would love for you to visit soon! I got lots of great ideas from visiting your fab school, and regularly show a slide of you talking with a little quiet girl: helping her share an idea in front of the class. Your social development targets for each child; including ‘I can come to school happy’ and ‘I can talk to other children’ are an inspiration! !